One of the reasons Apple couldn’t launch the iPhone X with iPhone 8 and 8 Plus last year was due to the shortage of TrueDepth camera components. The limited supply and low yield rates of 3D sensing modules that support Face ID and Animoji features were the reason the iPhone X was in scarce supply during the first few weeks of launch. Apple has just ensured that the iPhone X2 (or whatever it’s called at the time of launch) and iPad Pro 3 won’t face similar issues when they come out. The Cupertino company is making a huge investment in LG Innotek to secure the supply of 3D sensing modules for its upcoming iPhones and iPads. 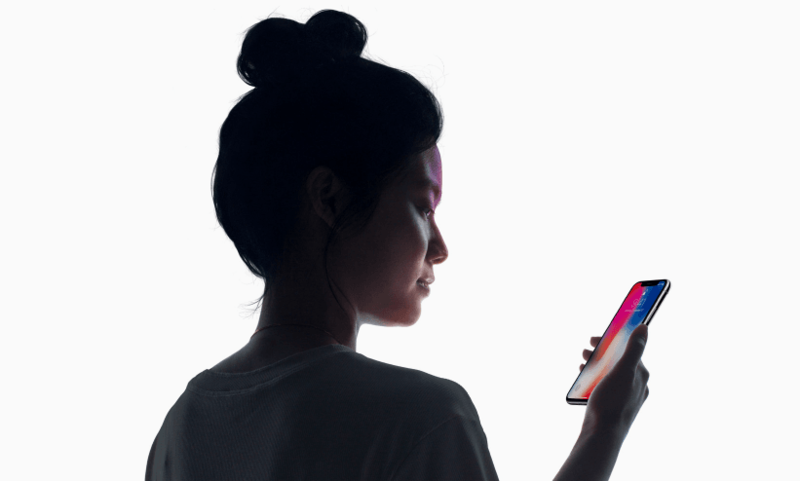 The 3D sensing modules including the dot projector and flood illuminator are key components of the TrueDepth camera that enables Face ID and Animoji features. The investment in LG would allow Apple to bring Face ID to more devices. Korean publication The Investor reports that Apple could invest as much as $821 million in LG Innotek. The iPhone maker’s one-time investment would help LG build out 3D sensing component facilities. LG Innotek said in its latest regulatory filing that it would invest 873.7 billion won ($821 million) to build additional fabrication facilities for its camera and emitter module business. The Korean company did not reveal how it would fund the initiative. According to The Investor, the investment was finalized after Apple CEO Tim Cook’s meetings with LG Innotek chief executive Park Jong-seok in November. The meetings between the two chief executives were rare because Tim Cook isn’t usually involved in direct negotiations with component suppliers. It’s not the first time Apple is investing in a Face ID component maker to secure a steady supply. Last month, the tech giant announced that it would invest $390 million in Finisar. The investment was part of Apple’s Advanced Manufacturing Fund initiative to “support innovation and job creation by American manufacturers.” Finisar makes vertical-cavity surface emitting lasers (VCSELs) that are part of the TrueDepth camera system. According to KGI Securities analyst Ming-Chi Kuo, Apple would launch three new iPhones in the second half of this year. One will be a refreshed iPhone X2 with OLED display, and another would be a larger iPhone X Plus with a 6.5-inch OLED panel. The third device would sport a 6.1-inch LCD screen. All three of them would offer Face ID technology, according to Kuo. The analyst also claims that the iPhone X2 and iPhone X Plus would come with a new battery technology to enhance the battery life. The rumor mill claims the upcoming iPad Pro 3 would feature an improved version of the A11 Bionic chip that powers the iPhone X and the iPhone 8 series. It would have incredibly slim bezels, Face ID, and no physical home button. Just a few days ago, Korean media had reported that LG’s display-making arm LG Display had won a contract to supply OLED screens for Apple’s larger iPhone X Plus. The Cupertino company had been looking to diversify its OLED supplier base for quite some time. According to The Investor, LG Display would supply 15-16 million OLED panels for the upcoming 6.5-inch iPhone in 2018. For now, Samsung is the sole supplier of OLED screens for iPhone X.
Samsung will remain the largest supplier of OLED panels to Apple for at least next few years. Reports coming out of Korea suggest Samsung would make 180-200 million OLED screens for iPhones. That’s roughly 12x higher than what LG Display is supposed to supply. By the way, LG also makes LCD screens used in the iPhone 8 and 8 Plus. Apple was reportedly investing $2.7 billion in LG Display to help the Korean company beef up its OLED capabilities. The investment was an advance payment for OLED panels. LG is said to start making OLED screens for iPhone X Plus at its E6 plant in Paju during the second quarter. LG’s Paju facility has two OLED production lines with a total capacity of six million units per month, but they aren’t yet producing panels at their full capacity. LG Display said in a recent regulatory filing that it wasn’t yet making display panels for the iPhone X. Instead of denying the rumors of OLED supply deal with Apple, the company said, “When anything is confirmed in detail, we will announce it, or [otherwise an announcement will be made] in a month.” It means the Korean company could announce the deal sometime soon.